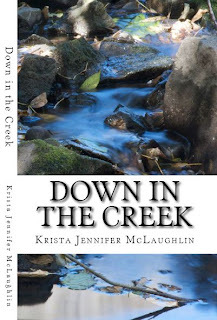 Down in the Creek was written during NaNoWriMo of 2009. It made it to be one of the finalists in the Delacorte Random House Publishing Contest and it is currently sitting at the top of a stack in a publishing company, but they are not taking any new projects right now. That was what I was told in May of 2011 and I still don't know anything, but that's okay. I wanted to give you another little teaser from the book for today's post. This is a fun little scene with two of my favorite minor characters, Tom and Maggie Myrtle. As a little background, Olivia's parents died in a car accident a few months before this. She is spending a fun evening with her best friends, Carter and Tabitha. We finished bowling and decided to go out for ice cream at the little mom and pop restaurant across the street. They made these delicious clown cones with a scoop of ice cream and the cone on upside down like the hat. It was a child’s dessert, but we all loved it. The restaurant resembled a dinner from the 1950’s, complete with neon sign and bad music. Mr. and Mrs. Myrtle owned the place. They were both in their eighty’s and probably opened the place back in the fifty’s. We sat up at the bar on the tall stools. “Would you kids like to hear a ghost story?” Tom asked, wiping down the counter since we were the only people in the restaurant at the moment. His white hair stuck out from the edges of his chef hat and the wrinkles around his mouth created deep smile lines. “I personally enjoy the story about you peeing off the Statue of Liberty,” Maggie chuckled, tossing a towel at her husband. “Or was it the time that he ate his weight in pizza?” I asked, laughing. “He tells you all those stories?” Mrs. Myrtle chuckled. “Ah, never mind my woman. Just let me tell my ghost story. I’m sure that these kids will love it. The grandkids couldn’t sleep after they heard this story,” Tom protested. She laughed at her own joke and walked back into the dish room where I could faintly hear her singing something. I laughed and allowed her to guide me out into the main part of the restaurant again. It appeared that Mr. Myrtle was just finishing his story. He was holding a shovel in his hands that had dirt on the handle and the blade. It was dusty and hadn’t been used properly in a long time. There was a crack near the bottom and at the top were the initials, T.D., engraved the handle beginning. “Why do you have the traveling shovel of death?” Cara asked, leaning forward on her elbows to hear the answer. Maggie burst out laughing, causing my three friends to jump slightly. I walked over to them with a grin on my face and pretended to show Tabitha what her face had looked like. “Are you still telling that made up story?” Maggie demanded, putting her hands on her hips. “Your great-great-grandfather frequently dressed up in women’s clothing and ran around the town with curlers in his hair. I believe he also had a nickname…. What was it? Oh, I remember. His nickname was Fancy Pants Carl. And that shovel belonged to Timothy Dean, who worked at the butcher shop until last year. He moved out and you forgot to return it. Stop trying to scare the poor dears,” Maggie chuckled. Thanks Sarah! I think it has to be one of my favorite NaNoWriMo things. :) It makes a hilarious story! i hope the book s pubbed soon! thats great just to be wanted! and funny excerpts! Me too! :) I hope that she gets back to me or I'll have to keep searching. I'm glad that you liked the excerpts! Hi Krista, forst time visitor and great to meet you! Good stuff here and very funny. Who wouldn't like a traveling shovel? I know I would. I think Tom's seen Goonies too many times. LOL. So very true, Jaycee! It's funny because the kids play right along with him. :) They make some great funny comments. Great blog. I love your jelly bean concept. Good luck with landing a publishing deal. Thank you! :) I'm glad that you liked them! Exciting to be in the pile...especially on the top! 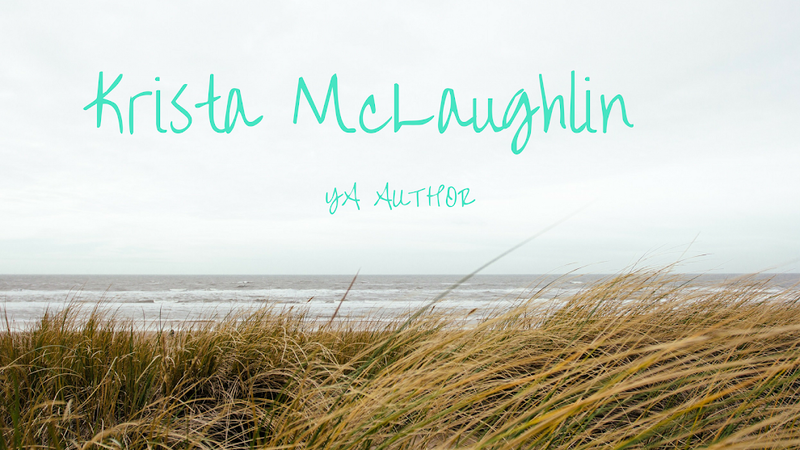 Great post and love the look of your blog! Such a sad story about your aunt, but wonderful to use her name as a remembrance. Looking forward to more posts from you! Hope you're loving the Challenge like I am!